Our issue begins with the final moments of the citizens of Kandor, as they see Rogol Zaar peeping through the top of their bottled prison. We are then caught up in the present where Superman is flying an unconscious Rogol Zaar’s body into space. Superman is suddenly stopped, as a now woken Rogol Zaar attacks him, and sends him crashing into the moon. Superman puts up a small fight, but is bested by the zealous adversary, and left half buried in the moon’s surface. During the battle, Clark’s mind thinks back to the night Jor-El appeared in his home in Metropolis, and told him and Lois that he wants to take their son away with him. He thinks back to how Jor-El claimed that he wanted Jon to grow and learn with him across the galaxy, teach him things that Clark couldn’t from Earth. A defiant Jon agrees to go, much to the chagrin of his parents. We cut to the present once again, and we catch up with Fire Chief Melody Moore, trying to investigate further into the recent arson attacks across the city. She and her crew are called out to an emergency where they are met with Supergirl, who arrived before them and helped get the people free from the burning building. She asks Melody if she has seen her cousin, as she doesn’t know his current whereabouts. As the two talk, they discover that the Justice League has arrived. They have the same questions that Supergirl has, and reassure her that they will do everything that they can to help her and her missing cousin. With some encouraging words from Wonder Woman, Supergirl then spots her cousin on the moon, and takes off bee lining toward him. Supergirl finds Superman where Rogol buried him, and lifts his unconscious body free. Later at the Hall of Justice, the League watches as Superman recovers in the med-bay. Superman wakes and asks the League if they know the current whereabouts of Rogol Zaar, they all discuss the situation and focus on the fact that Rogol Zaar mentioned that he wants to “cleanse” the galaxy of Kryptonians. 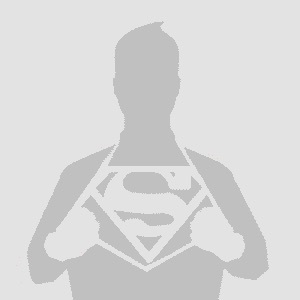 It is then that Superman realizes where he could be and what he’s planning, as he shoots through the roof of the Hall of Justice, high into the atmosphere, and descends down to the Earth once again, and burrows through the surface to the core. It is there that he discovers Rogol Zaar at the Earth’s core, with a device that is primed to destroy the Earth, just as Krypton was destroyed many years ago. Story – 5: Last week’s issue, I wrote, was well written by Bendis, but not really a necessary issue in the grand scheme of things, and it could have been combined with the previous issue. Thankfully this issue didn’t suffer from that problem. I know doing a 6 issue series is the norm for a trade paperback, and at times it’s felt that Bendis has padded some of the issues for that very reason. However this is how the man writes, and he’s been successful with this formula for many years, so who am I to criticize? Now I also want to remind everyone, that even though I gave this issue a higher grade, it doesn’t mean that I loved every aspect of it. I graded it on the fact of how well it was written, and I will give my opinion on what I thought of the series as a whole, after the final issue next week. And with that said, this issue shed some more light on a couple of important plot threads of this series, namely Lois/Jon and Krypton. Let’s start with the planet we all thought exploded, but was actually detonated. Bendis had more than hinted heavily that Krypton was destroyed by an outside force, rather than natural causes or years of build up and/or abuse by its denizens. Now we have seen something similar to this in the Superman: Earth One graphic novel, but here Bendis has explored that one rogue zealot with a vendetta against its people, can destroy entire civilizations and cultures. Even go so far as to hunt down any that remain to eliminate any that may have survived. I’ll be honest, I’m not too fond of this idea at all. It worked in the Earth One graphic novel, as it was its own thing, in a complete separate continuity. But for this to be in the main books, as part of the lore now, I’m having a hard time ingesting it. However that is my thoughts on it, my current feelings at this time. Who’s to say that I will feel so opposed to the idea in the future?… Like anything that is out of the ordinary, I’m going to try and keep an open mind, and give it a chance. I can’t help but wonder, if this was the feeling readers had back in 1986 when John Byrne came aboard? When Krypton went from a scientific utopia to a cold heartless society. The second big thing that happened this issue, was the further revelation of Jon and Lois. Seems young Jon was a little too eager to go traveling with his estranged grandfather across the galaxy, even to the behest of his parents. This I really liked… I liked the fact that Jon wants to get to know his Grandfather a little better, and see what he has to show him, but also really liked the defiance he showed, by saying, “I’m Going,” with Clark in shock. This keeps in continuity with Jon as he had been up until now, but also showed his mother’s “Don’t take NO for an answer” attitude. I know it’s a really small aspect, but the first thing I could think of was “that’s Lois’ boy all right”. Now the one big question that remains is, did Lois go with him or did she leave because Clark possibly let Jon go? I guess the answer is just a week away. Which has also worked in favor to this series, having it be a weekly comic for six weeks has kept the excitement alive. A couple of other things I wanted to highlight were, first the appearance of the Justice League. I loved the way Bendis wrote the dialogue. He managed to capture the voice of the characters well, and gave the Flash some comedic relief, which reminded me of Ezra Miller’s portrayal of Barry in the Justice League film. Second is again involving the League but also Melody Moore, as Bendis writes these protagonists in a very smart fashion, as they try to figure out a solution to their problems at hand, this for me elevated the story quite a bit more. Lastly, when Superman mentions that he promised STAR Labs that he wouldn’t fly deep into the Earth as he does at the end of the issue, gave a real world feel, that some of his powers and the way he uses them, may cause problems for us regular folk from time to time. I’ll wait until the conclusion of the series next week to give my thoughts on the whole series. But I have to give credit where it’s due, and Bendis has written a captivating series so far, even if I don’t agree with some of his decisions. Art – 4: I’ve stated this before in many of my reviews, but it is jarring when a different artist takes on a chapter in a miniseries, or through a story arc, as it can feel similar to watching a movie or TV show, and having the actors change up in between. We knew from the beginning that each issue was going to be done by a different artist, and up until now, the art was tied together simply through Alex Sinclair’s colors, however this issue was a huge tonal shift in a completely opposite direction. It did take me out of the story a bit. I wasn’t impressed 100% with the art in this issue, simply because at times it looked rushed and unfinished, and worst of all, for this series as a whole, it felt out of place. The opening page was amazing, and very traditional Adam Hughes, but from there on in, it wasn’t the caliber of what Hughes is known for. Being an art guy, and having worked professionally in the field, I always appreciate the time and effort any and all artists put into their work, and sadly it just felt that Hughes didn’t have enough time to complete the work. I was left feeling, that if you’re going to have different artists, play to their strength’s, or give them enough time to finish. Did I hate the art this issue?… ABSOLUTELY NOT! I am in fact a huge fan of Adam Hughes’ work. Mostly I have admired his cover art on multiple franchises, I have seen some of his sequential work, and the guy can actually tell a good visual narrative. Which was what he did here. It was quite easy to follow the story, and he injected some heart and emotion, through good facial expressions throughout. There was a couple of amazing flying scenes, and the heavy shading gave the issue some moodiness and gravitas. More importantly, Hughes has a good handle on Superman. In the past we have seen some renderings of his Man of Steel on covers and posters, but he has a very strong and confident looking Superman, with real personality. It’s why I didn’t give it a lower grade. I was torn between my love of Hughes’ art, and the over all quality the visuals seemed to lack in many panels. The panels that stuck out to me the most were, when Superman is flying Rogol Zaar out to space, there is a real sense of struggle in his face. The panel where Supergirl lifts Superman’s body out of the moon’s surface. The shot where he flies out of the Hall of Justice, as he tucks his cape into his shirt and lastly the cross section shot of him flying into the Earth’s core. Hughes gave us a cinematic feel to this issue, one that I feel that was similar to Ivan Reis’ opening issue. Also something that bears mentioning is Hughes’ own color work. Much like Alex Ross, it is hard to imagine an Adam Hughes project without his signature digital coloring. And we get a fair bit of that throughout the issue, especially on different character’s faces. The rest of it is quite flat, with monotones and very little if any color separation. It wasn’t bad, but did feel very bland in places. Regardless, I am still a fan of Adam Hughes, and actually would like to see him do more with Superman as well as some more interior work in the future. The Jason Fabok pages continue to be amazing, and I eagerly await his full art in the next issue. I like the look of his Jor-El, but more so I love his Clark. He captures Clark and Superman rather perfectly. Alex Sinclair did the coloring for his pages as per usual, so that was at least consistent. Cover Art – 5: The covers for this miniseries have been great, even though they don’t directly correlate with the story inside, they are a joy to behold. This is a great homage to the Death of Superman. I hope to one day own all the interconnected covers as a lithograph! I was looking forward to seeing Adam Hughes art for this issue, but I was a little disappointed with how rough it seemed in places. And I agree, I dont much like the idea that Krypton is now destroyed by someone rather than a chain reaction of events from years and centuries of warfare and abuse by the Kryptonians themselves. Why didn’t Zaar just kill Superman and be done with it? Poor writing is my guess. It’s quite the catchy malady. My guess is that that’s what he thought he did when he buried him on the moon, knowing that he wont survive long in space with no air. And he went down to Earth to destroy, in case Superman had a litter of hybrid children… Hence the cleansing of the Earth afterwards. Superman doesn’t need to breathe, or he would have died on the moon. My guess is, he held his breathe as he took Rogol Zaar to space, and almost died because of it. You can’t hold your breath when you’re knocked out. That, and N52 Superman flew for 60 days in space, non-stop. If he can do that, he doesn’t need to breathe. Dude you’re assuming… That is not fact. They said that Superman doesn’t need to breathe. That was a pre-crisis thing, but he has always needed to breathe since Byrne’s Man of Steel. And since Superman was buried in on the moon, he sure as hell wouldn’t be holding his breathe. Hence why he needed to be rescued bu Supergirl, and why he was in a medical bay at the hall of justice. Again, he flew for 60 days non-stop in space. He was on the moon for 30 minutes before Supergirl arrived to help him. Those are facts. And you cannot hold your breath while you’re unconscious. again, he was not holding his breathe. And this is not the New 52. The fact that Jor-El is even alive to be a ex supervillain in need of a redemption arc is a pretty sad state of affairs. So I guess Jor-Oz takes Jon away so they can bring him back later as an angst ridden teen to twentysomething? I think you hit the nail on the head right there man. 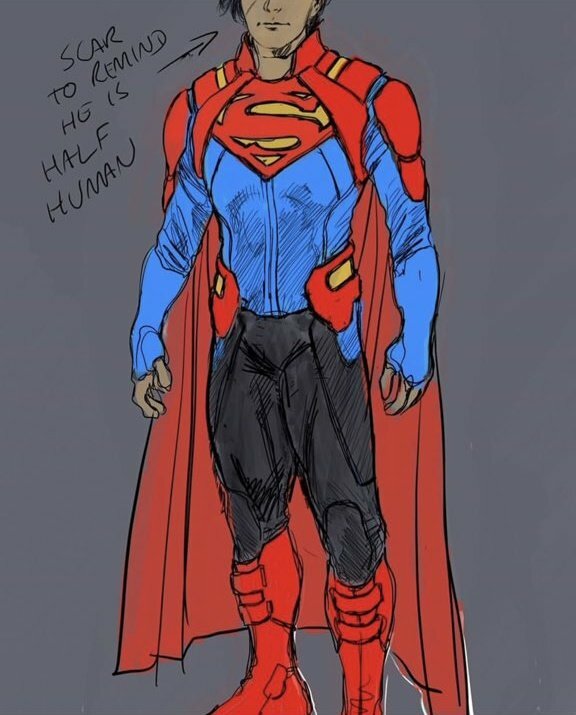 I saw a pic by Ivan Reis recently, where Jon has a new costume and appears to be older. @Kal L. …and of course he has a scar on his face. On the other hand I’m glad the skinny jeans are gone. I’ve always had a sinking feeling they were either going to kill Jon, grimdark him, or both. What the heck was wrong with Superman and Lois being together and having a bright eyed kid who loved being a superhero? Yeah it was an odd development for Jor-El for sure. I hope that it pays off somehow because it just sort of fizzled out without any resolution.